Dried Enterococcus Faecium Fermentation Product, Dried Lactobacillus Acidophilus Fermentation Product, Dried Lactobacillus Casei Fermentation Product,, Dried Lactobacillus Plantarum Fermentation Product. Absorbine® Bute-Less™ can offer your horse support for a healthy inflammatory response, and eases discomfort associated with exercise and aging. 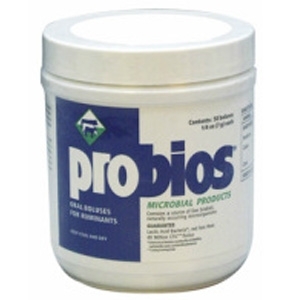 It is gentle on the stomach and is easily administered as a daily supplement. Active ingredients in Bute-Less™ include natural Devil’s Claw Extract and Yucca Schidigera Extract, as well as Vitamin B-12. 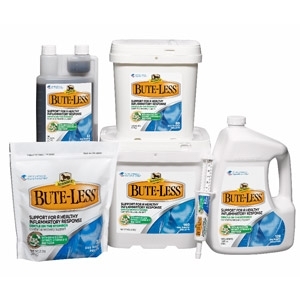 Bute-Less™ is available in three convenient forms, as pellets, paste syringes, and solution. Formerly known as Equine America® B-L®, our supplement is proven to be gentle on the stomach, making it ideal for long-term use. 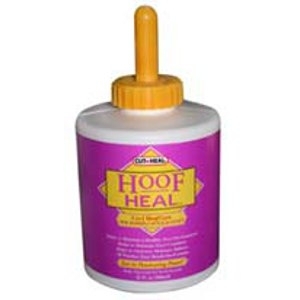 For the effective treatment of fungal infection, surface wounds, cuts, galls, hoof foot and pad sores, chafes, abrasions, moist lesions, itchy fungus eczema and sores on horses and dogs. 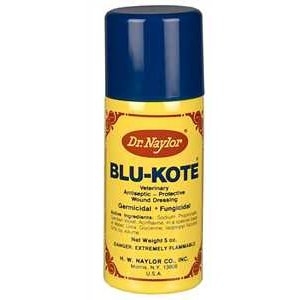 Blu-Kote is a germicidal, fungicidal wound dressing and healing aid effective against both bacterial and fungal infections most common in skin lesions of domestic animals. 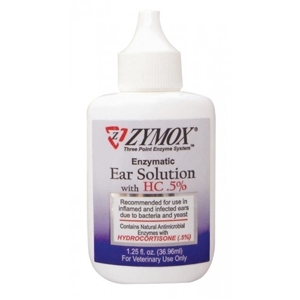 Kills ringworm, helps to dry up blisters and pox-like sores of lesions. Magnesium plays and important part in the support of normal muscle and nervous systems. 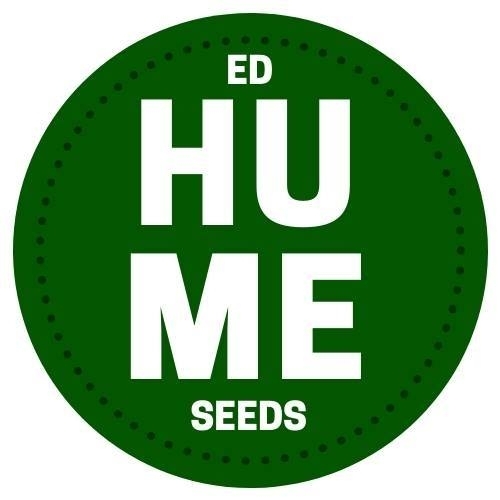 Horses deficient in this important mineral may have poor tolerance to work and show signs of nervousness, wariness, excitability and muscle tremors. 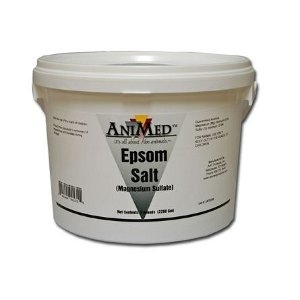 AniMed Epsom Salt Dietary Supplement for Horses is an excellent source of dietary magnesium for horses of all classes when a supplemental source of magnesium is needed. 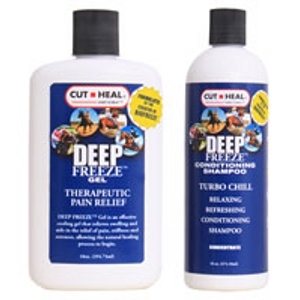 Deep Freeze liniment from Cut-Heal is a form of cold therapy that cools on contact. 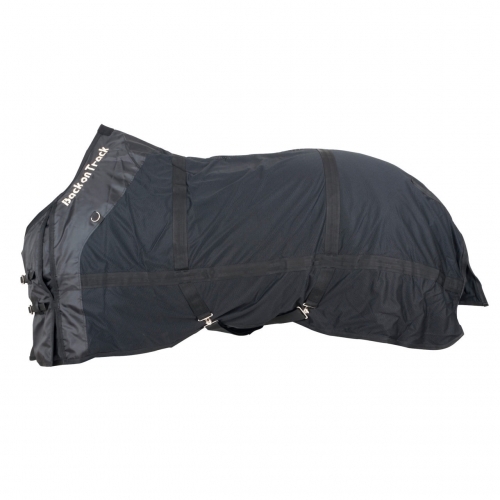 Deep Freeze accelerates penetration and circulation, allowing the natural healing process to start. Does not constrict blood vessels. Vertericyn Wound and Infection Care heals wounds fast. 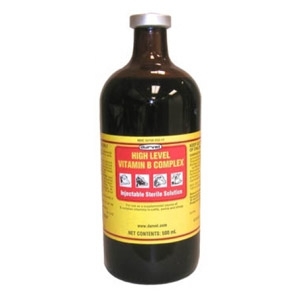 It cleans, treats and heals wounds and infections without harming healthy tissue. Vetericyn effectively kills antibiotic-resistant strains of bacteria, fungi, viruses and spores. 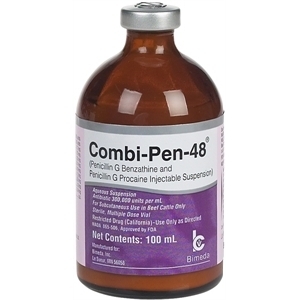 Combi-pen 48 and Norocillin Penicillan. Always in stock. For intra and inter-muscular. To kill fleas and ticks and control re-infestations, use Four Paws Magic Coat Flea & Tick Shampoos. These formulations are strong enough to kill fleas, ticks and lice, yet gentle enough to leave your pet with a clean, soft, manageable coat. Includes flea/tick, oatmeal, medicated, tearless, puppy and more! We have a full line of syringes, needles, calf-pullers, castrating bands, ear tags, tattoo kits and much more! Stop in the store to view the entire selection.